Zow! what action! awesome ! I love the pow! 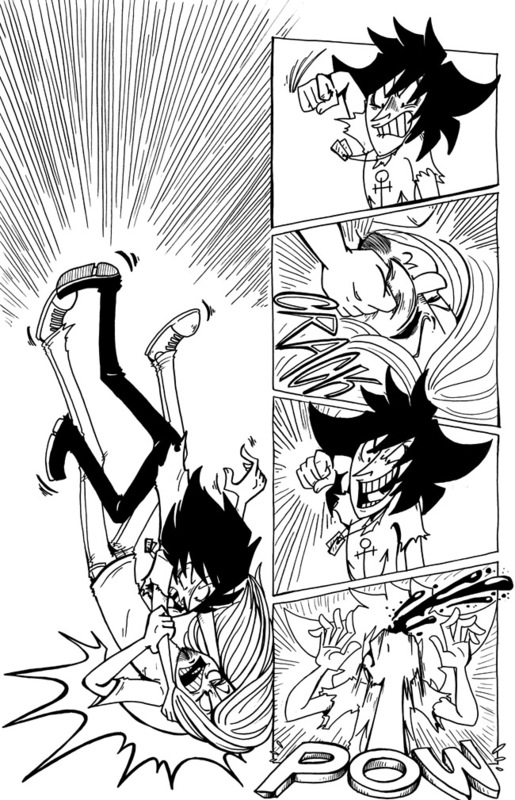 also Fritz sorta totally deserves this punch I am sure. NO, not my pretty face! Oh goodness. 😀 I’m so exited over this. Your web comic is amazing & super funny. Your art style is amazing. I’ll definitely be following this, and try to endorse it as much as possible. Happy writing~! Now the title page makes sense. Fritz you idiot.